The North East’s Velo29 cycling team sign North East Elite, Matt Kipling from Raleigh for 2012. 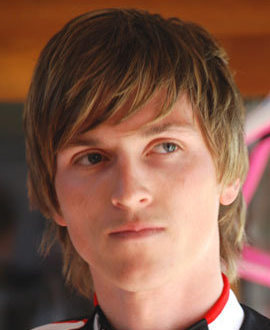 Formally of Team Raleigh and earlier Pinarello, Matt joins Velo29 as the Team Leader for the 2012 road season. “This is a huge signing for the Northern Team and a massive step towards their long term goal off success in the Premier Calendar and Major UK road events” says the team. The Velo29 Elite Team, sponsored by Velo29 Online Retail and Vankru Performance Cycling have been on the scene for three years now and have grown rapidly in this time. The team have a great ethos and though very focused, they really work to enjoy their racing. Despite the French name, the routes hail very much from the North East of England. In other signings, CC Luton’s Anthony Moye has signed for Velo29 and the NE squad has also signed bronze medallist in the National Junior RR, Alex Bottomley.